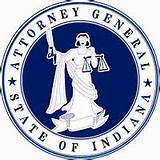 Attorney General Curtis Hill today announced that he is helping lead a bipartisan group of 40 state attorneys general developing fresh strategies to stop or reduce annoying, harmful and illegal robocalls. The coalition is reviewing innovative technologies that major telecom companies hope to employ in this fight. Indiana is one of 15 states on the working group’s executive committee.